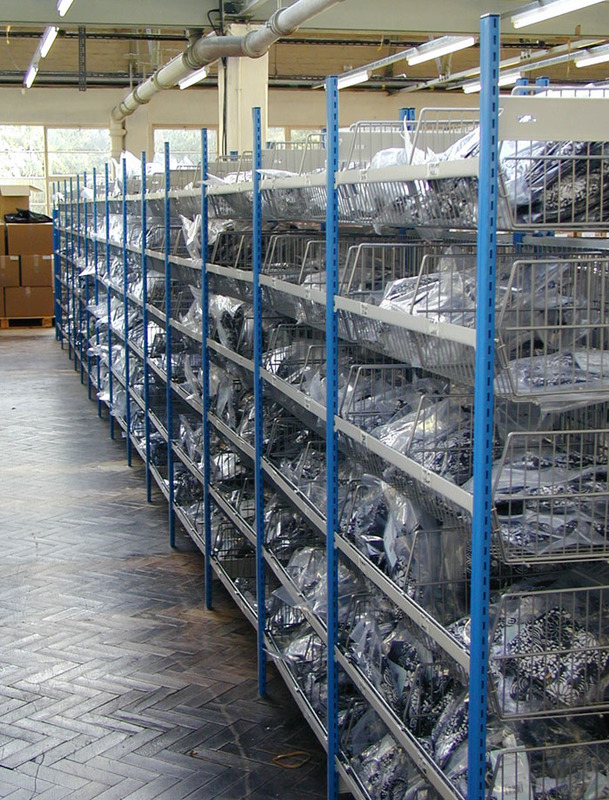 Wire basket shelving system with heavy duty wire baskets for storage or display. Wire storage baskets are ideal for loose items for ease of picking where a variety of loose products need to be easily identified. 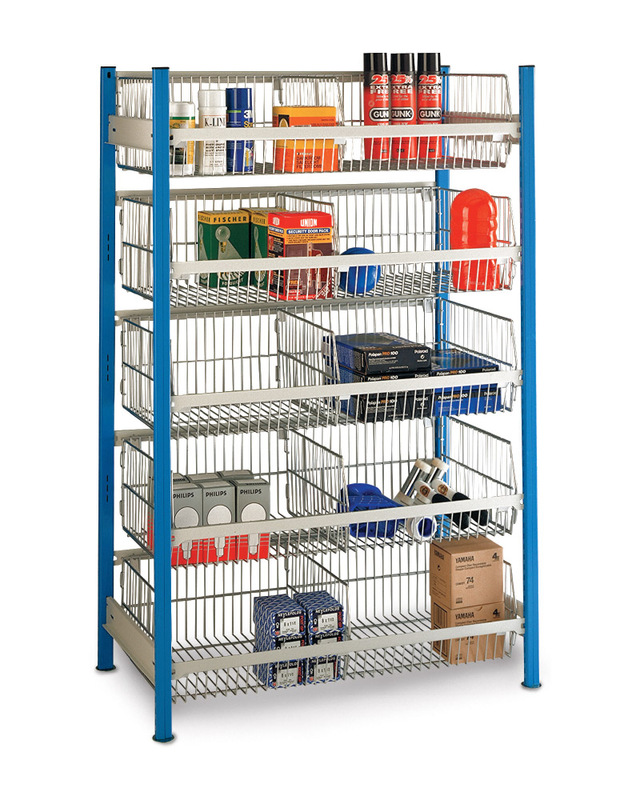 Popular applications for wire basket shelving include: plumbing fittings within trade counters and cellophane wrapped items for picking and distribution. 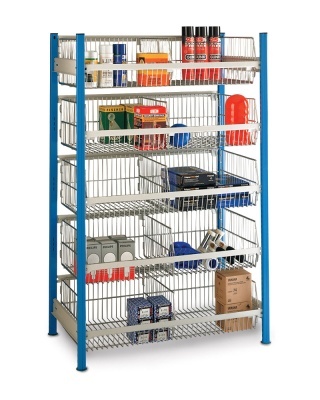 The wire baskets include two dividers, which are fully adjustable to suit varying product sizes. 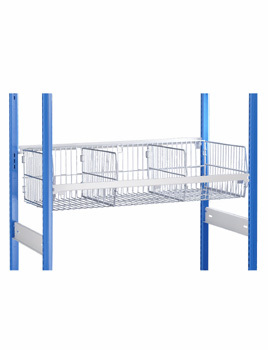 Note: Baskets are no longer held in stock but we can quote for requirements of 10 bays or more.